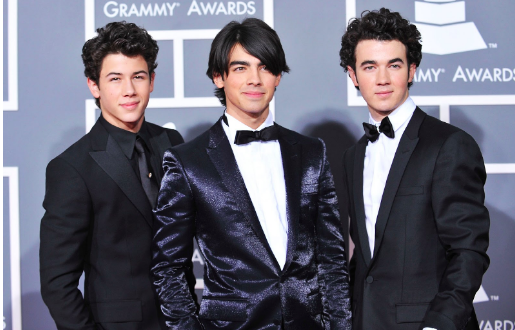 A lot of students seem to be reliving their childhood right now with the revival of the band The Jonas Brothers. While a handful of people haven’t seen the group since their elementary and middle school days, it can be interesting to see the group make their comeback. The video dropped at midnight on Thursday and according to a piece by Billboard, the music video featured touches of Miami Vice and seemed to have inspiration from 80s group Duran Duran and Elton John. The group officially broke up in 2013. This time allowed for Nick, the youngest brother, to pursue a solo music career and tie the knot with Indian actress Priyanka Chopra. Joe also continued music and formed a new band, DNCE. Joe has been engaged to Game of Thrones actress Sophie Turner since October. The third brother and band member Kevin has focused on his family, happily married to wife Danielle with two daughters, Valentina and Alena. Also in the Carpool video, the brothers talked about collaboration with Amazon Studios to produce an intimate documentary about their lives. No release date has been announced for the film yet. The group announced their first single in March by releasing a cover for the song. As the release date drew closer, the group spent a week on The Late Late Show with James Corden, participating in games with hypnotists, and appearing on the show Carpool Karaoke. Their first live performance of the single was additionally aired on Carpool Karaoke. For now, fans seem to be reveling in the fact that their favorite group from secondary school is back once again. Countdowns online timed the release of the first single, as well as the second. It is anticipated that this will be the same routine for songs to be released by the group in the future as well. First-Year Abigail Dotterrer is a Staff Writer. Her email is adottere@fandm.edu.